DADALENIN is a project consisting of a variety of activities and media. made originally for the Moscow Biennial 2006 - and other places interesed in these lost causes of this problematic history of 20th century. Most dadaists weren't aware of it. 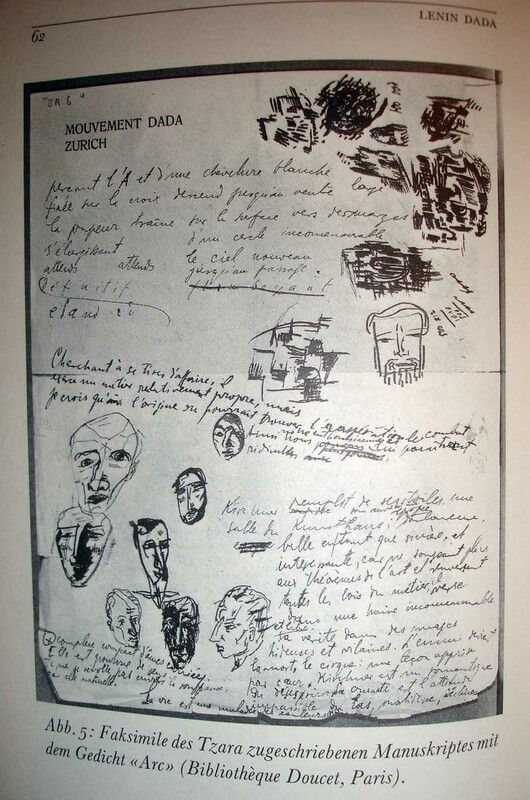 Lenin even wrote poems for Tzara. 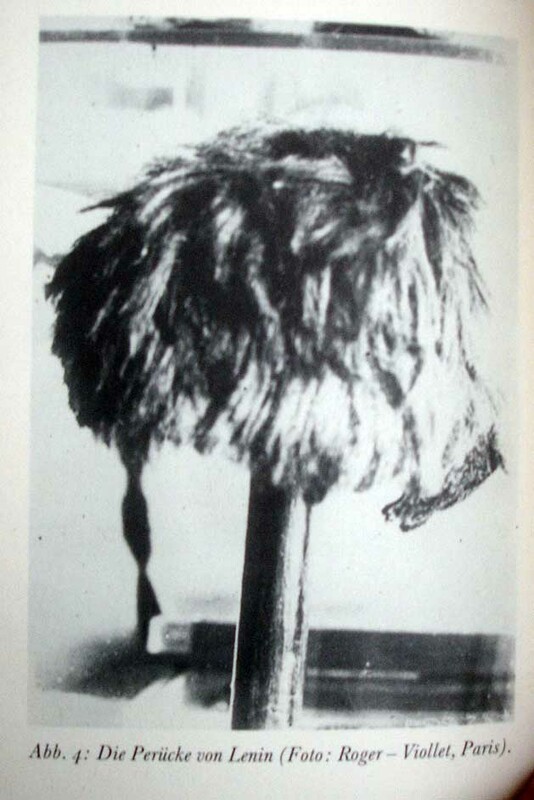 Lenin a founding member of DADA in Zurich in 1916. 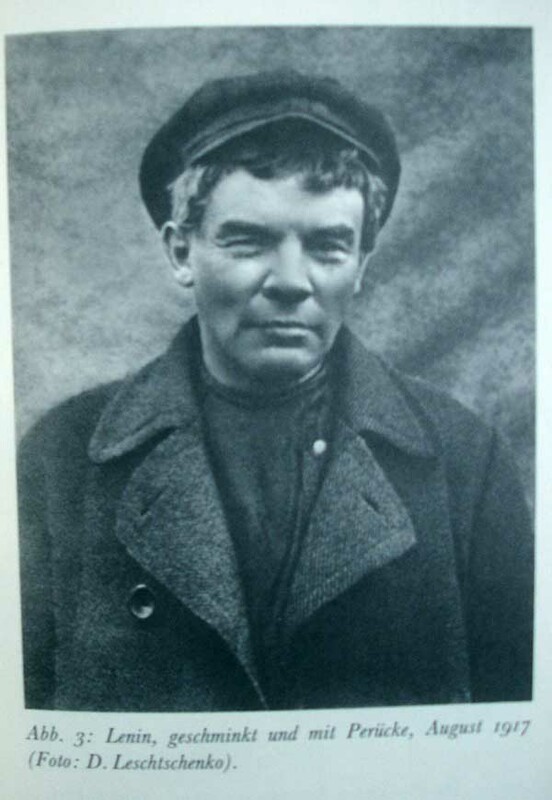 Most dadaists didn simply recognize Lenin (before he became famous) but didn't make the connection afterwards. Tzara did. Lenin's was a small but funny and oriental looking man (and there simply weren't too many during WWI in Switzerland) and this describtion of this "fourth man" is exact. Lenin was forced to hide in many occasiions since he already had some notorioty in the world. 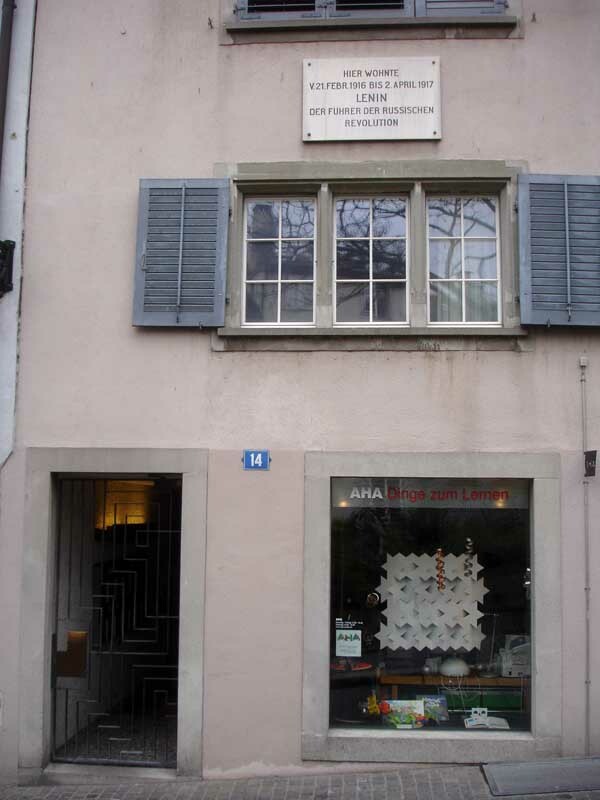 Lenin's apartment in Zurich was above a butchery and therefore they "couldn't open the window until late" (Krupskaya, Lenin's wife) which also indicated that he might have hang out in the next door Cabaret Voltaire. Lenin and his wife moved from Bern to Zurich becaue of Zurich's more intense social life. This happened exactly around the time, Cabaret Votlaire opened. "Mde Hennings and Mde. Leconte sang French and Danish songs. Mister Tristan Tzara was reciting Rumanian Verses. A Balalaika orchestra played charming Russian popular songs and dances"
Ball later entered in his diary: " A small nice looking man, who already was greated before he entered the podium , Mister Dolgaleff ((( mister Lenin))) was offerening two humoresques by Tschechow and presented popular songs ... An unknown woman was reading Jegoruschka by Turgenjew and verses by Nekrassow." 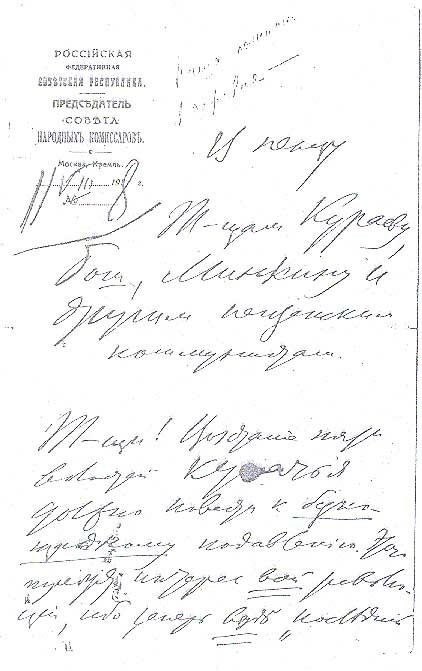 (his wife - of course, now, it is historically proven, the Lenin loved Turgenjew and Nekrassow and knew them nearly by heart since he was studying them while in exile in Siberia. Later in a small publication Hugo Ball wrotes: "This small publication which we are presenting today, (May 15, 1916), was made possible with the help of our friends from France, Italy and Russia". -- so to say, a proof of the Russian's permanent presence. Who else from Russia would have been present. Had there been really a mistser Dolgaleff who was so active, we would have known more of him. 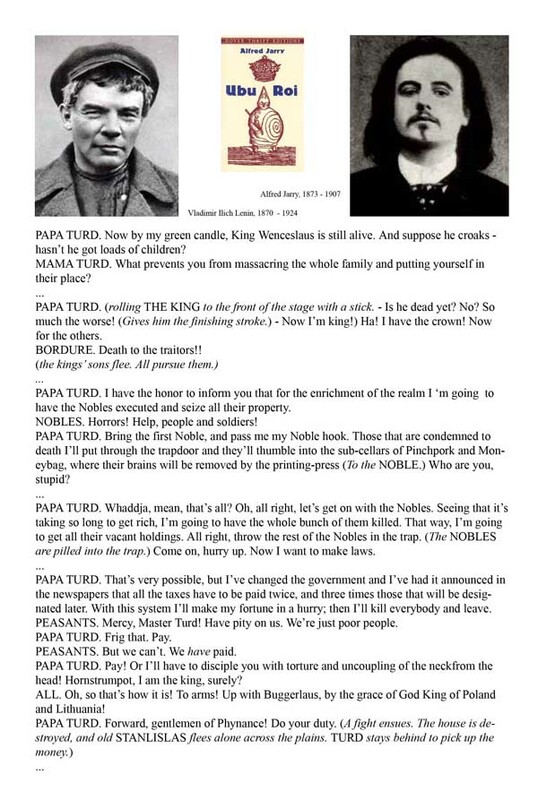 But of cousre, Lenin's interest wasn't to be a founder of DADA. Though there was a presentation by Lenin in Bern aroudn the same time, Lenin quotes all trains and traveled back and forth for a while. 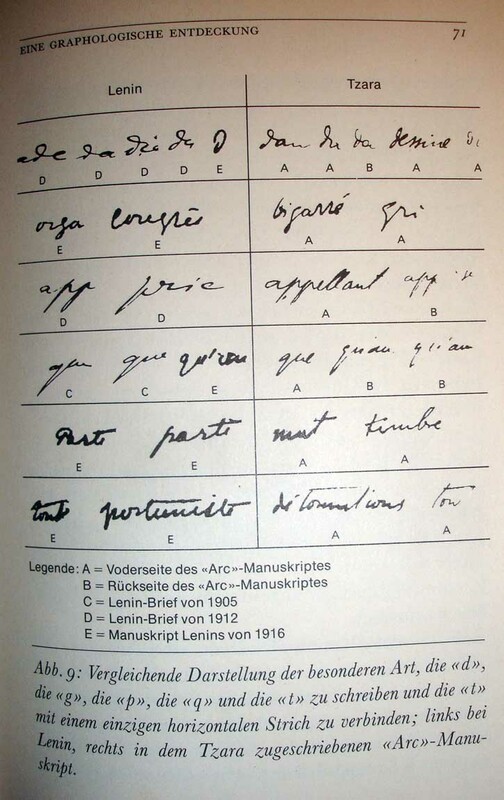 Most stunning is the fact that Tzara's manuscript "ARC" is covered not only with some kind of a portrait of Lenin , but also with the handwriting of Lenin, which is very distinghuishable and ideosyncratic. Wiht the mental and physical end of Lenin who suffered a stroke, this annonymous group - who got funding from the ministry of culture under Lenin - also stopped its existence. Also not the impressive picutre of Lenin from 1919 playing with the megaphone of a phonograph resembling more the look of an acknowledged dadaist than the leader of the Bolshewik revolution and the coming Soviet Union. Needless to say, that many key elements of dada resemble the hand imprint of Lenin and his bolshewism, something that is not only recognized by the bourgeois press attacking dada: a hatred for bourgois subjectivity, a tendency for collective creativity wiht cut up poems and random creatiions, a verbal radicallism that embraces distraction and tabula rasa beginnings, chaos and contradictions, non-sense and terror. Apotheosis of destruction and massacres: "make jam out of thse moscovits" or "I go to war and kill them all". Last but not least, Noguez who I owe most of these insights, points out yet another tragic-comic resemblance between dada and the Russian revolution: Shortly before 1917, Russia issued international bonds that were mostly sold in France with the promise of a phantastic return. These bonds were widely accepted and I myself have French friends whose grand parentes were ruined once Lenin declared these state obligations as vallueless. (the story is still ongoing and there are lawyers trying to recuperate something from today's Russia). This story makes you think of Tristan Tzara who issued DADA bonds that read "Subscribe to DADA bonds - they are worth nothing" --- from a collectors point of few, one should have bought Tzara's bond - drawing. The Soviet Union and its repressive politics is a fact. Stalinism and his regime of terror that cost the lives of millions of people is also a fact. And so was the brutal rule of Lenin before his death. For example: take the example of the royal family, the Romanovs. Without any process, the entire royal family, - Zar Nicolaus II, his wife Alexandra, his son Alexej, his four daughters and four other members of the family,- was taken in the basement and shot dead. A day later, other members of the royal family in other parts of Russia were also executed in the same way., without trial, without the public, but with the personal order of Lenin. The French Revolution during its most lethal phase worked at least with ad hoc courts and public executions, not so Lenin and his executioners. 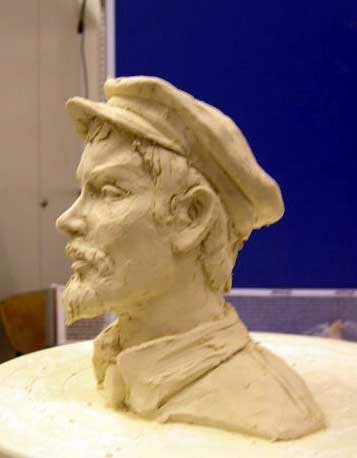 Tragic-comic incidents in relationship with the creation and presentation of Marx statues are the following: Already in 1918 Lenin ordered the implementation of a 'personal cult' for revolutionary heroes. All royal statues were supposed to be taken down and replaced by statues of Karl Marx, Friedrich Engels and others to honor the Russian Revolution. 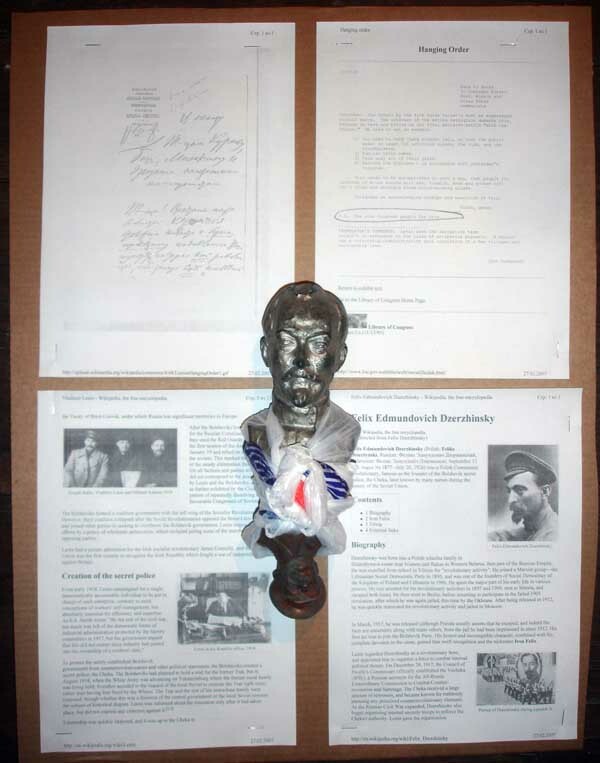 But this didn't work fast enough for Lenin and he writes the following report: ( My translation from German) "Today, I acknowledged Winogradows report on the state of busts and monuments and am outraged; for months, nothing has happened. until today, there is not a single bust (... .). Herewith I am ordering to punish those responsible for this criminal and negligent behavior and put all those to trial. Shame on saboteurs and pitty thieves." 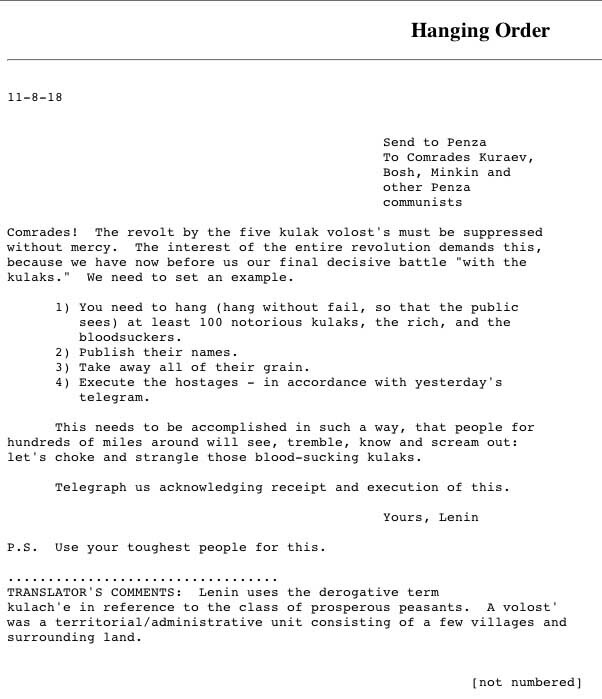 (Telegramm sent on September 18, 1918 to Lunatscharski, Lenin Werke, Bd. 35, p. 336.